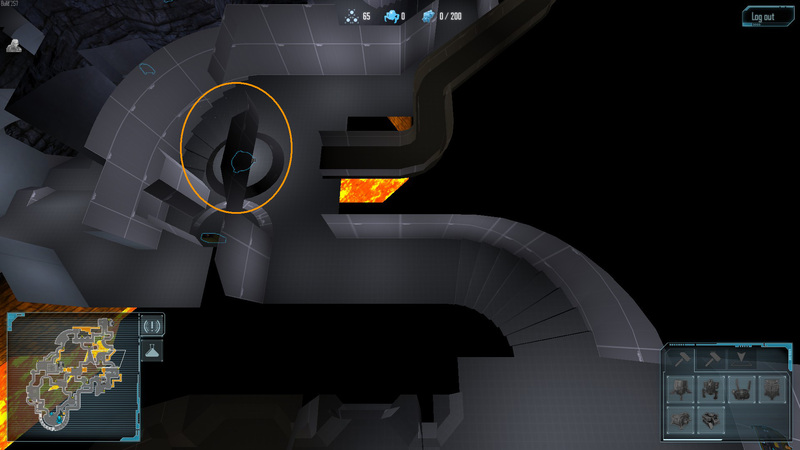 It's a relatively small, simple map, but I'd love to get some feedback on how it plays. - Lines of sight seem pretty long in the 2nd, 4th, and 5th screenshots. - The spread of RTs on the layout; the north-eastern TP and western TP seem to have two close RTs, while the south-western TP and eastern TP just have one? Looking forward to having an in game look once I get home. doh, I forgot to mark one of the nodes. the empty room in the bottom left of the map actually has a node in it. Well, we spoted this on the workshop last night and thought we would give it a go. Firstly, you're a mad man! All that complex geo... Sadist It looks really good and I'm looking forward already to seeing where you take the level in the future. My (tentative) first impressions are that the level is a little on the small side. Distances between rts and techpoints just seem slightly too short. I haven't run the timings on it yet, though I may get around to doing some for fusion and others soon. However this did lead to a very action packed game, with alot of frantic communication and scrambling to deal with threats. Some of the corridors are a bit narrow in places as well, armoury blocking could become an issue, though it wasn't one we came arcoss last night. It also meant that GLs were rather powerful as it left little room to avoid grenades when trying to assault the marine main. FT could also have a similar issue I feel, though again not one that we encountered. Alot of the rooms were interesting to fight it, and I particularly like the variance and use of vertical space, with the western techpoint (I forget the name) being a strong example. Though we found that both teams had some issues assaulting that particular techpoint, in part due to having to attack 'uphill'. Could become a problem, but after only one game on it I would hesitate to say so. At the res node directly east from that western techpoint, there is a dead end to the north. I found myself often diving down it as an alien when trying to retreat. I did notice others were doing the same. It seems slightly redundant I must say. Perhaps if it were slightly darker down there and the corridor that meets it was slightly better lit, there could be less confusion. Or maybe don't make it quite as deep? Just a couple of ideas really. Marine spawn had a turtle problem we found, until we found the third way from the south into the marine base that is. 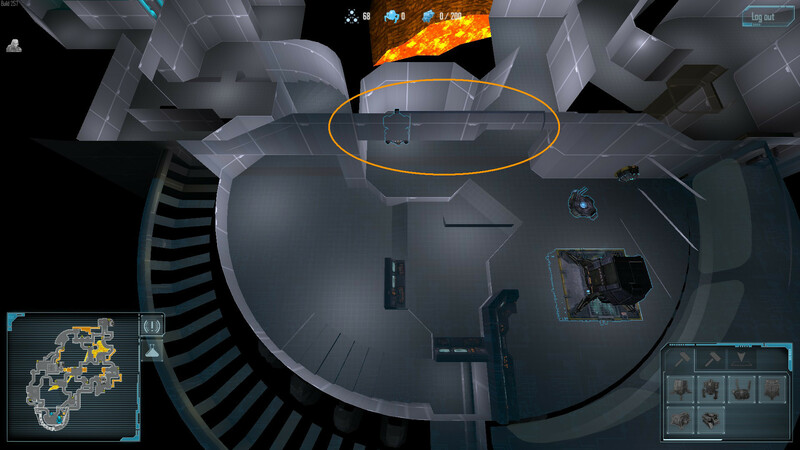 One exo was able to cover both northern entrances quite well, and combine that with other marines focusing on them as well it was very difficult to break in. However, once we were able to get a foothold at the entrance to the south the marine base fell shortly after. As an aside, the curved geo really helps with bouncing grenades around corners and extends GL range quite considerably. I feel that alien spawn might be too open, though no marines made it that far in our game so I don't have any evidence of this. But should marines make it inside, aliens will have one hell of a job getting them out again. Alien spawn might be too well lit, I believe somebody mentioned that last night, as well as some fps drops in there. That could be an occlusion issue or perhaps a result of the heavy amounts of complex geo. You may want to add preplaced infantry portals as when I first tested the map on a listen server the ip was spawning in the south eastern curved corridor, which would mean marines would have to travel just to be able to get into their base and defend it. The area surrounding the marine base could have too many routes as well, as aliens it was very easy to flank marines attempting to leave their base and trying to establish a foot hold at their expansion RTs. Is the map fixed spawns? I ask because it could be interesting to swap the starting positions over and see what happens then. All in all, I really enjoyed playing fusion, think it has some serious potential and I look forward to playing it some more. I must admit I do like the curves, bends and general look of the map. * to small, very very very to small. 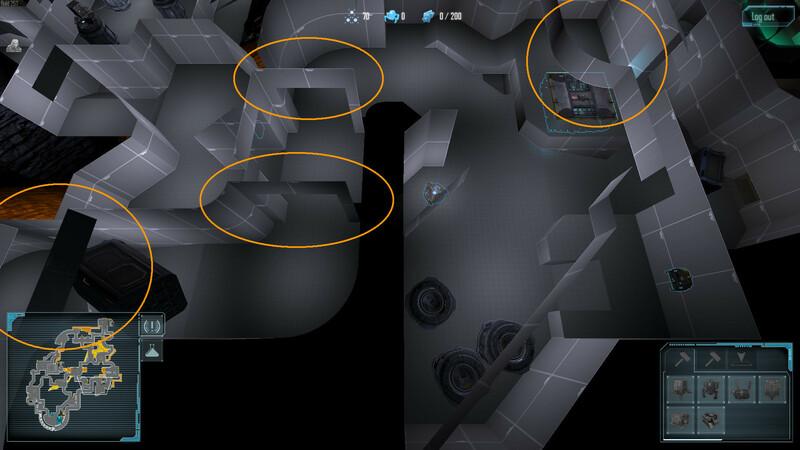 * to many entryways in the tech points, especially on a small map. * due to map size obs coverage is to great. fast run to GL hive range. * high route is easy to camp. turnip and its a very long open area to advance in for marines. * dents in transfer are ideal to make vents. * passage, rt. get stuck when you run around as skulk. All on all the map itself has potential but its limited size, for me, kinda ruins the experience. This map will become marine favored heavily when skilllevel goes up as so much is open and long. Interesting to see the next version of this map. the size was the biggest one so good call. I would still check your tech points. No building around it in the one I saw. I'll post some screenshots tomorrow. Any feedback would be awesome. Looks like an awful lot of narrow hallways with long LOS..
@ritualsacrifice If you have the time could you highlight the hallways that concern you the most? loving the new build plays so much better now ! espc the gorge slide !!!!!!!!!!!!!!!!!!!!!!!!!!!!! Has anyone found the secret room yet? 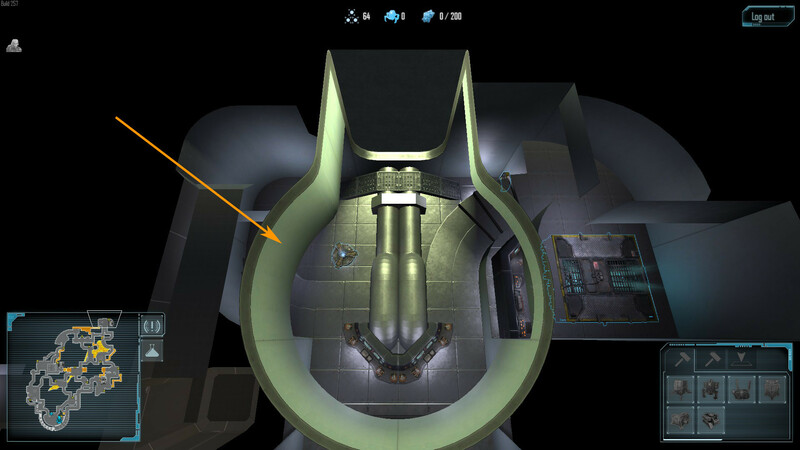 I've had a few people mention that the map is a bit too marine friendly, so I'm half thinking of adding a 5th tech point to the top-center of the map. Between the reactor in Observation and the tanks in Storage. The tech point itself would be on the left side. In a catwalked area on top of the pipes. Looks great, nice concept, don't care about map being to marine right now, those large corridors without any cover, and the light in some places give too much advantage to marines, but that is a standard issue with greybox maps. By the way I love those corridors linked with the cave room between crevice and cascade. I've published a new version onto the Workshop. There's a vent into the main Transfer vent directly above this corner. The entrance to the tech point is up to the right. It's not too obvious, but there are still two entrances to the tech point. 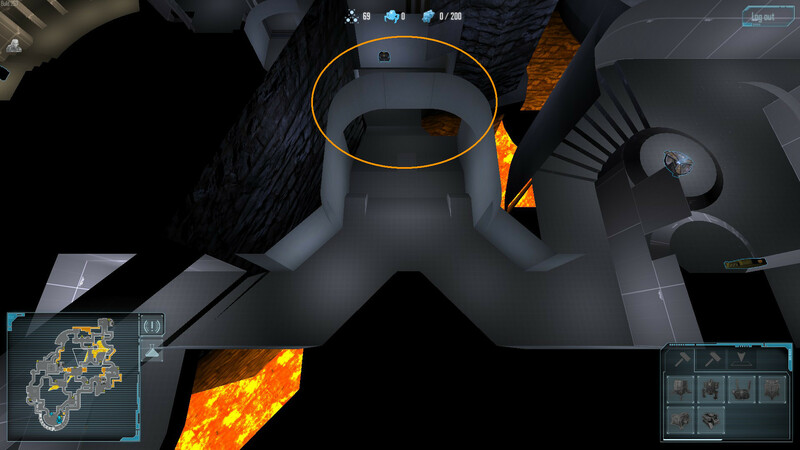 The Crevice entrance and the Transfer tech point meet (but there are still obstacles and LoS blocks) just as they enter the room. Well, tried to get fusion to run on a listen server so I could take a look around, but the mod is listed as unavailable while updating to the new version. I guess this is either down to workshop or the new file is set to private. It's the workshop. It's been published publicly. But for some reason, as of yesterday, I get an error whenever I try to download it. Just played a game on this. The geometry is plain awesome. This map is a masterpiece. I tried organizing a playtest on Fusion on the SCC server tonight, but with people leaving the teams as we played we unfortunately couldn't get a proper game going. I'll try to organize one again tomorrow. In the meantime, and in order to at least provide some feedback, I noticed a lot of geometry on the ceilings and above doorways that should probably be CommanderInvisible. Thanks for organising the game and for the screenshots. CommanderInvisible is something I definitely need to do. Unfortunately I don't think I'll have time to have it done in time for your next test today/tomorrow (hooray for time-zones). We played Fusion again last night. In many places you more or less have two different ways from one room into the next, which I'm not keen on myself, but I suppose that's a style issue as it didn't seem to hamper gameplay. The platform in Observation next to the hive where the eggs spawn feels a bit small. If marines come and want top kill eggs they're a bit clumped together. And, strangely, the Approach powernode and the Storage powernode both seem to control just the Storage room. I biled the Approach powernode and it turned off the lights in Storage instead. This is a beautiful looking map. It felt fluid but completely different to other maps to play. I can't wait to see it textured and tweaked. I'm not entirely sure what you mean. Do you mean that it feels like some rooms have too many paths between them? Finaly someone else who agrees with me. Oh also vents, m04r V3ntz plz.